African Sandalwood Oil is derived from an exclusive and vast species of African Sandalwood tree known as Osyris Santalaceae (with many subspecies under it) which is specifically found in parts of East Africa. African Sandalwood contains 32% of santalols and 35% of santalyl acetate content. It is a pale yellow to golden yellow liquid with delightful, smooth, tenacious, woody scent. Because of therapeutic properties African Sandalwood Oil is useful as astringent, antiseptic, emollient, and sedative. It is non-toxic in nature and does not create any harmful consequence. African Sandalwood Oil is extensively used in fragrance & flavor industries, herbal & dermal cosmetic companies and Ayurvedic pharmaceutical companies in India. 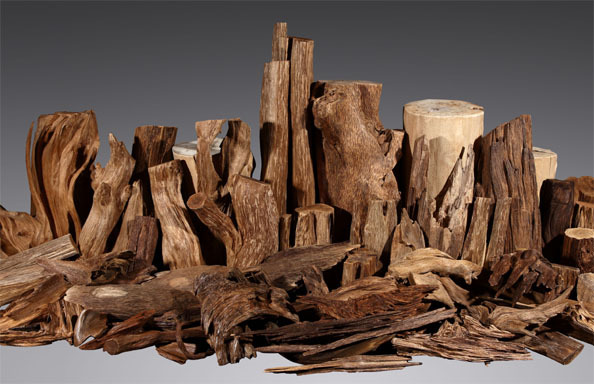 We are the leading suppliers of African Sandalwood Oil to many revered flavor and fragrance manufacturers in India, many perfume manufacturers in Middle East and due to its woody and tenacious fragrance it has a special space with many French perfumers for their creative creations. Our coherent efforts and consistency have enabled this product to become more acceptable and renowned among the leaders in the industry.